Description: Business incorporation & set up advice. 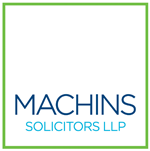 Private & commercial property conveyancing, general litigation, wills. Notary public. Description: Specialist Business Lawyers: Corporate Acquisitions & Financing, Business Contracts, Commercial Property, Employment Law and Commercial Litigation.